There is a doubt as to whether the plague of Fall Armyworm (Sena Caterpillars) is someone’s conspiracy to destroy agriculture in the country by importing food from other countries, said Leader of Opposition Mahinda Rajapaksa. He mentioned this following an event held in a temple in Beliatta, today (20). 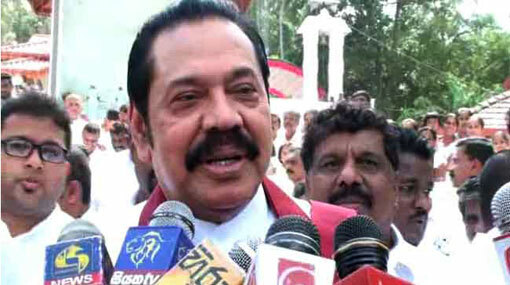 Further commenting, Rajapaksa stated that his party also speaks up for the rights of the Tamil community. According to him, the propped new constitution is an idea of Prime Minister Ranil Wickremesinghe and MP M. A. Sumanthiran and only those two know the correct information about it. Although the current government declared that they will spend on education, there is a plan of cutting back facilities of education, he added.